Fluitec systems cover everything from the engineering and construction of DeNOx systems through static mixing and heat transfer technologies to accessories for continuous mixing and reaction systems. 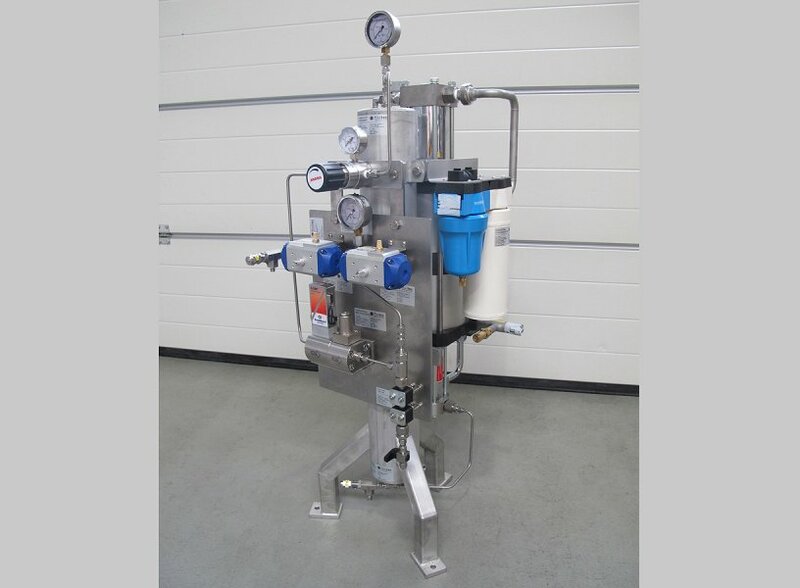 The design, manufacture and installation of flue gas mixers – including complete ammonia dosing stations for SCR DeNOx processes (catalytic elimination of NOx) – are among Fluitec's outstanding strengths. The equilibration of concentration and temperature profiles over the cross-sectional area of the duct channels must be achieved with the smallest possible pressure drop. In the old days, Fluitec DeNOx systems were simulated and designed with the aid of complex and time- consuming flow models. Owing to the experience built up over the years, the launch of our mikromakro® mixing technology and advances incomputational fluid dynamics (CFD), these models can meanwhile be dispensed with. Instead, our CFD experts embark on a new design using the latest generation of CFD simulation software, which enables almost perfect predictions of the flow pattern and the concentration profile. Fluitec can also look back on more than 20 years of theoretical and practical experience in ammonia water dosing technologies, leading to an extensive range of proven and efficient solutions for DeNOx processes such as ammonia dosing stations, injection nozzles, mixing stations, static mixers, etc. As a specialist for mixing, reaction and heat transfer technologies, Fluitec designs and builds customised solutions for several key processes: static mixing, mixing / heat transfer, reaction, devolatilisation and dosing. Ever since the company was first founded, Fluitec has focused strongly on mixing and dosing technology and is meanwhile acknowledged as one of Europe's leading planners and manufacturers of static mixing systems. Static mixing systems are nowadays an increasingly popular alternative for both continuous and batch processes because maintenance and wear are negligible and only a comparatively small space is required for installation. Dosing technology for static mixers entails controlled, simultaneous and pulsation-free metering of the additive and main streams into a static mixer. As static mixers are generally designed with only minimal back-mixing, the components have to be dosed constantly over time. Fluitec dosing stations were specially developed for problematic media.